Do you look for peace and relaxation when you're walking through the woods and meadows? 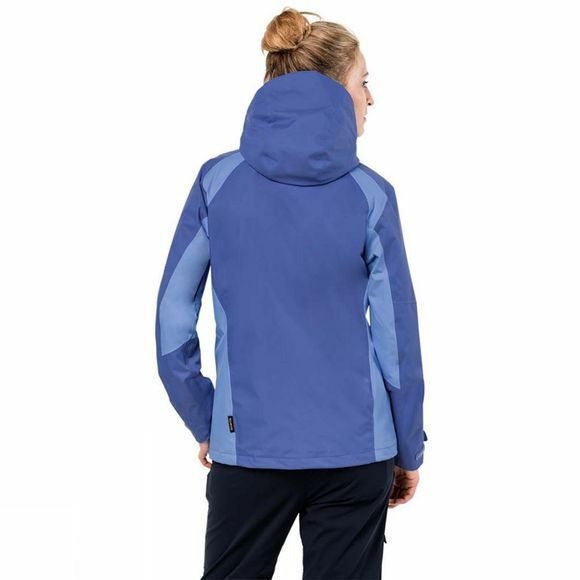 The Womens The Esmeraldas Jacket from Jack Wolfskin is the jacket for you. The waterproof outer fabric is an extra soft version of . The jacket has a comfortable, loose fit, with all the freedom of movement you need to enjoy your downtime outdoors to the full. 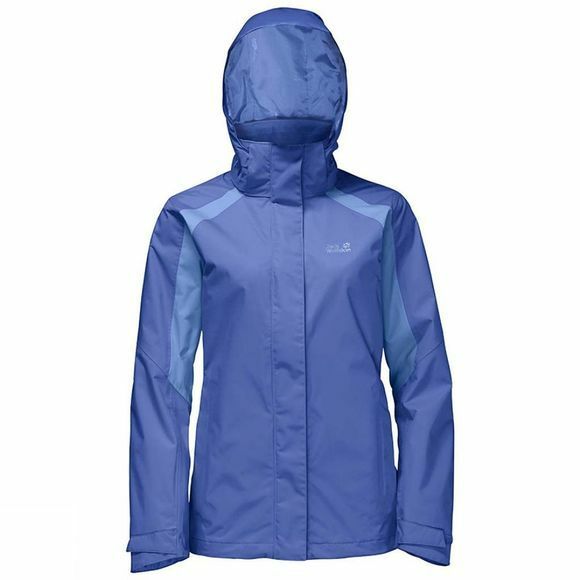 And of course it offers all the climate comfort you need when hiking, thanks to the breathable fabric and the underarm zips. With this jacket, even the winter weather won't keep you indoors. The system zip allows you to combine it with a compatible fleece inner jacket to create a warm and functional garment that can be worn all year round–ideal for nature lovers like you.